If you look, you can see the clarity difference in the above 3 photos over when I’ve just taken photos with my phone in the past. Yuri told me that she had been a 12-year Starbucks Japan partner before coming to Seattle, and that it was always her dream to work at this landmark Starbucks location. 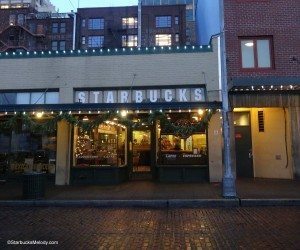 She arrived in Seattle, and realized that she spoke too little English to work at a Starbucks, and so went to school and studied English diligently so that she could work for Starbucks! 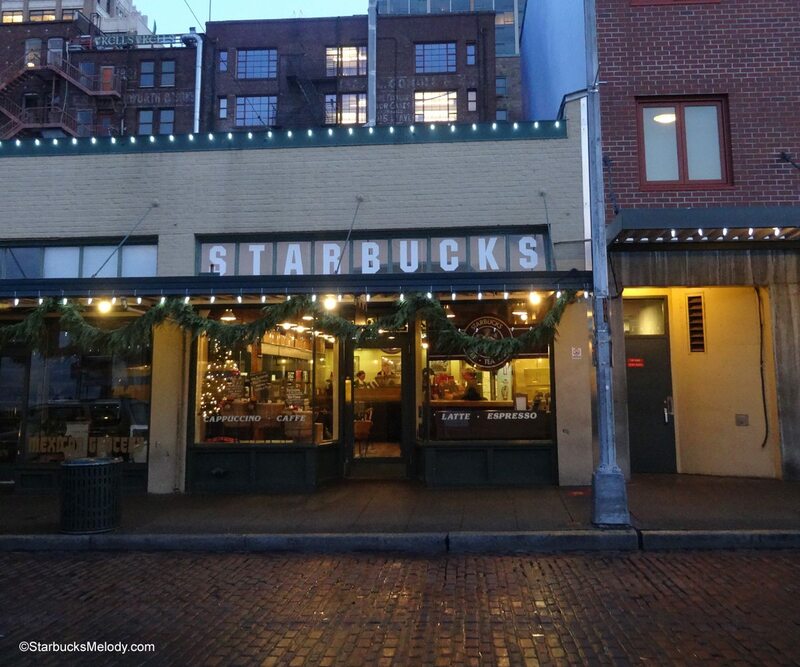 She is an inspiration to all those at the 1912 Pike Place Starbucks! Thanks for joining me on this quick Monday morning trip to Starbucks. I hope you’ll follow me on Instagram for a lot more photos of my Starbucks journey, Seattle photos, and a few random pictures. The Starbucks Verismo - A Review. 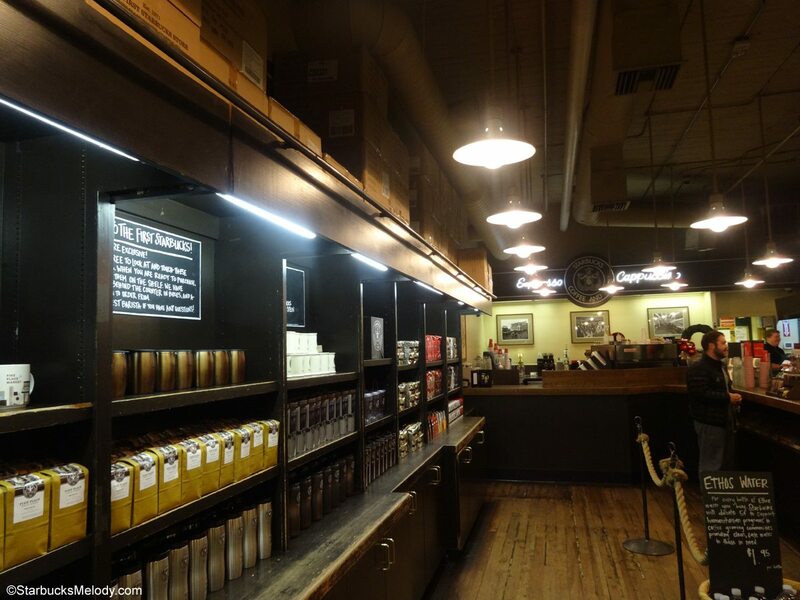 Introducing the Reserve Pour Over at 1912 Pike Place Starbucks. Thank you back2starbucks! Thank you for dropping by here too. What Camera did you use ? @back2Starbucks – I bought a Sony wx300. Melody great pics with the new camera. No lines? Wow. This story of the partner learning English so she can work at SB is very nice and shows her motivation. Absolutely gorgeous shots! The camera was a great idea! 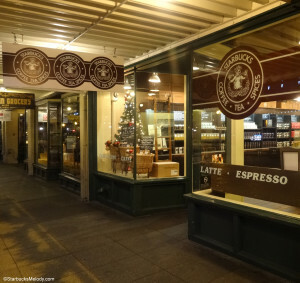 @Purple1 – Since this store gets so much of its foot traffic from tourists, it slows down in the winter. I walked in shortly after 7 am, which in the winter is still a bit slow. The market isn’t fully open at 7 am, and so this store picks up a little later in the day. Definitely, in the summer at 7 am, this store already has a bit more of a line. @Melody – glad that you are enjoying your new camera, you can never have too many mega-pixels 😉 . Really a great vignette story of a Partner. May I suggest you ask Yuri if you could do an interview for your blog. 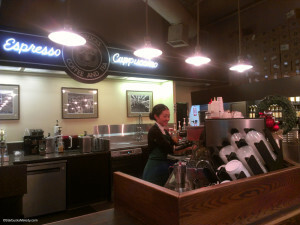 I would be interested in her Japan Starbucks experiences and how she finds the experience here in comparison. 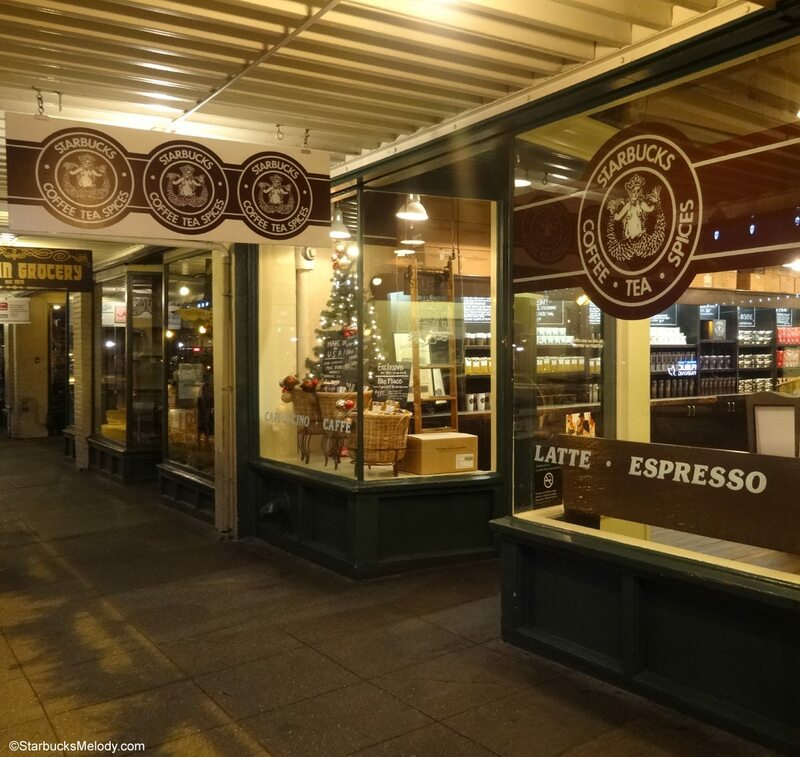 Curious question… The Pike Place logo mentions “spices”, is this just part of the heritage of the logo and Starbucks from yesteryear, or does the Pike Place store also currently peddle spices ?? If so, can you offer any further tid-bits of information. Love these pictures. There’s a fun one I took while I was up there of me jumping in the air in front of it! I always show that pic to my new partners so they can see how much I love Starbucks, and they get a glimpse of my personality!